Sean Hussey has been interning with us for the month of July from InternBoston. InternBoston is an organization that provides custom-tailored internships that allow high school and college students to explore a career area while developing business skills in a real-world setting. While Sean has been at Redfish, he has researched how we can utilize our office FormLabs 1+ 3D printer and has also learned quite quickly how to use Solidworks during his internship. Thanks Sean for all your great help so far this summer! Need to 3D Print Something?! We have launched our 3D FormLabs office printer onto 3D Hubs! This site helps local Bostonians and others who need help printing a 3D file, use our office printer. Please click here to upload your file for us to help you print your designs! Thanks FormLabs for our awesome new printer! We want to welcome Gabrielle LaFalam to the Redfish team this summer as our new intern! Gabby is a current junior industrial design student at the Massachusetts College of Art and Design. Check out Gabby's Portfolio and student work on Behance. We are excited to have her join our team in June! Redfish had a great turn out from both students and professionals at the IDSA studio crawl this past friday 4/24 for the Boston Northeast Conference. Thanks to everyone who made it to our event, we all hope you enjoyed it! Looking for a Summer Design Intern! April 24th-25th the IDSA North East Conference is coming to Boston, MA! Redfish will officially be attending and we hope to see you there! Saajhi Pump wins Core77 Social Impact Award. Follow Links to see write up. Winner profile can be found here: http://www.core77designawards.com/2014/recipients/saajhi-stepping-pump/. See a nice write up about the Saajhi Pump we designed for Xylem and see design as Social Impact. Redfish expands into new markets while collaborating with Patrick Thrailkill and his new venture Blokx Design, in Newton. Patrick brings significant expertise to the table in the design of medical, appliance, tool, garden, infant, juvenile and electronics; with a focus on consumer goods. Blokx Design LLC is passionate about excellent design and has a driving desire to create superior products for consumers that they desire to own and love to use. Jenna Goldblatt joins the team as UX Research Design Lead. Brought on specifically to engage on medical Point of Care devices. 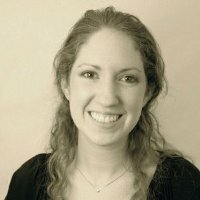 Jenna has a degree in Industrial Design and Interaction Design from Syracuse University. Previous experience: Design Museum Boston and The MEME Design.